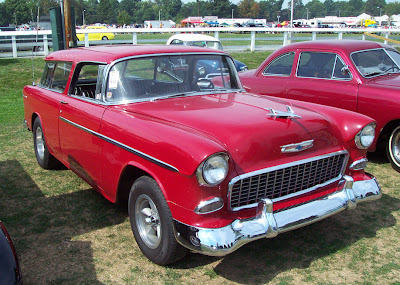 Note: The above picture is taken from http://www.seriouswheels.com/1950-1959/1955-Chevrolet-Nomad-Red.htm. Images Copyrights owned by John Filiss. I do not claim any rights on this picture. All rights and credits belong to the owner. I don't mind to have this car as my real everyday ride!!! it is a fun wagon!! !